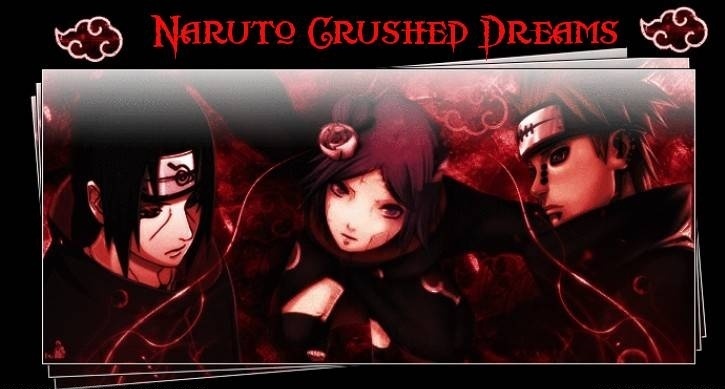 Welcome to Naruto Crushing Dreams. This rpg is a time skip nearly 200 years into the future after naruto and sasuke. We were born to rise or we were born to fall. Inorder for you to know that you must go on in life on this rpg. Our heroes have fallen and so have the villians. We are the new era and as the new era will must bring peace to this world, but as for some all you want to do is see the world suffer. You will either follow in the path of darkness or the path of light.
. The state of war, the Shinobi world is engulfed in what seems as an endless war. 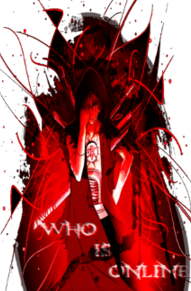 The masterminds behind the war, the Akatsuki, had their numbers thined by acting as freelance mercenaries, were killed off because of mishaps with other members or casualties of war. Konoha has formed an uneasy alliance with Iwagakure, whereas Suna and many smaller countries remained neutral. Otogakure, Kusagakure, Kirigakure and Kumogakure are the main oppresors and heavily relied on mercenaries. However, with the Bijuu once again freely roaming the lands, war isn't the only thing that needs to be accomplished. Many countries quickly scrambled to ammass large armies and capture a tailed beast. Even Sunagakure, seen the importance of having one, and managed to find and secure the One Tailed Ichibi, Shukkaku. They are the only known targets in possesion of a bijuu. Who will decide the fate of the shinobi war? Will the Allaince of Shinob, (Konohagakure, Iwagakure and Amegakure), be able to prevent the Oppressors, (Kirigakure, Kumogakure, Otogakure, and Kusagkure), or will Sunagakure, leader of the Neutrality, step into the war? 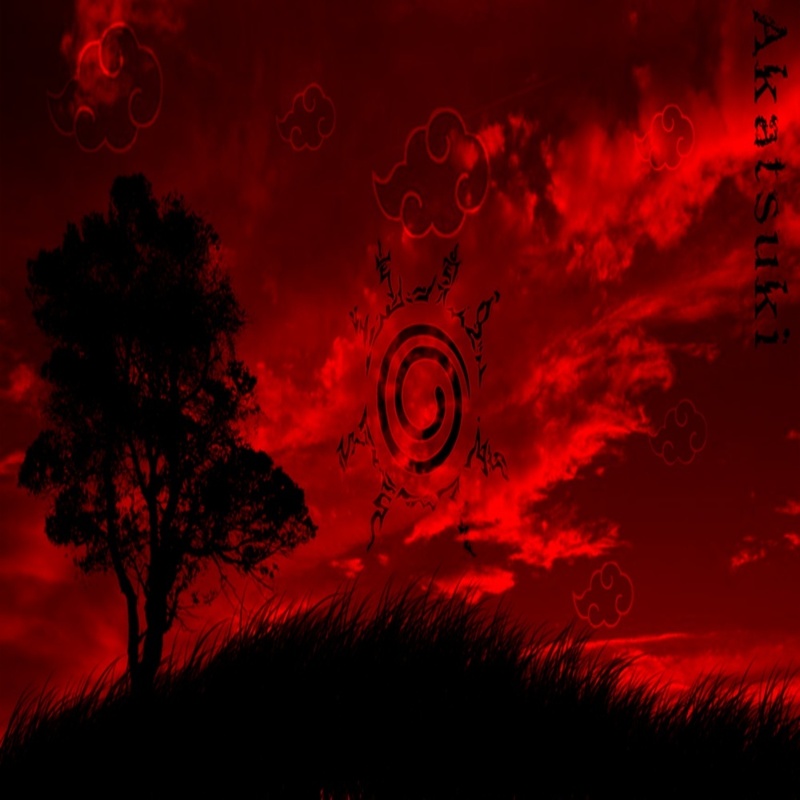 Or will the Akatsuki be restored to it's former glory? The war's fate, hangs in each and every Shinobi's hand. If you are going to be away for some time or If you are leaving the site, please post it here, so known of our members will be wainting endlessly for your reply in an rp or a disscussion. Give the site your Ideas and suggestions that have been eating away at you. Just don't insult us. If you do then that is warning, a second offense is a 2 day ban and a third offense is a permenant ban. This is guest friendly. Just post our site on your site, and we will allow you to post your site on our site. Make your character here, so you can get along with your lives. Just don't be so difficult and precise about it. Make your Jutsu's here, if you are just making them for the first time do to the Character app, or if you are simply making more. Make your Custom clan here. All ideas are welcome just don't Op or Gm alot or else they will be denied instantly. Make your weapons here. For swords you have a limited ammount and for Stuff like shurikens and kunai's it is unlimited. For right now this is currently not avaliable. Konohagakure (木ノ葉隠れの里, Konohagakure no Sato?, lit. "Village Hidden In The Leaves"), also known as Konoha, is the hidden village within the Land of Fire and the primary setting of the series. As the hidden village of one of the Five Great Shinobi Nations, the village is led by a Kage, known as the Hokage. The faces of the first five Hokage are engraved on the rock formation overlooking Konohagakure. At the start of the series, the Third Hokage is the leader of the village. He had abdicated his position in favor of Minato Namikaze, who became the Fourth Hokage, but was forced to reclaim his position after Minato died saving the village from the nine-tailed demon fox. During Part I of the series, Orochimaru leads an invasion of Konohagakure that causes large amounts of property damage to the village and culminates with the murder of the Third Hokage, his former teacher. Sunagakure (砂隠れの里, Sunagakure no Sato?, lit. "Village Hidden Among Sand" or "Village Hidden in the Sand"), also known as Suna, is one of the five great ninja villages, and as such has a Kage, known as the Kazekage, as its leader. Before the start of the series, the Land of Wind's feudal lord began to reduce Sunagakure's budget, and send mission requests to Konohagakure instead of Sunagakure. This led to Sunagakure forming an alliance with the village of Otogakure in order to attack and destroy Konohagakure, which composes a major portion of Part I of the series. Located in the land of Water, the Hidden Mist Village is one of the top 5 greatest Shinobi countries. The village's Kage carries the title of Mizukage. Being located in the land of Water, all of their jutsus are based on water techniques. Not much more is known about this village. Although it was commonly referred to by other villages as 'Bloody Mist Village' for its rumored brutality. This is also the village where Zabuza and Haku originated from before they abandoned the land. The training customs of the village were revealed from Zabuza's childhood. The final exam to becoming a genin was different, and much more brutal, from the exam the students in Leaf Village had to take. The Hidden Mist was also the home of the famous Kaguya clan, a clan with Kimimaro Kaguya as its soul survivor. Kumogakure (雲隠れの里, Kumogakure no Sato; Literally meaning "Village Hidden in the Clouds") is the Hidden Village of the Land of Lightning. As one of the five Great Ninja Villages, Kumogakure has a Kage as its leader, known as the Raikage. The ninja from this village seem to specialize in Lightning Release techniques. They also seem to favor the use of Japanese-style swords (or katanas) as standard weapons, instead of the typical kunai that most shinobi wield; and, as a result, most Kumogakure ninjas seem to excel at swordsmanship. The village is located on a high mountain, and is literally hidden in the clouds. The Raikage lives in a large building built into the tallest mountain. Kumogakure, like Iwagakure and Kirigakure, had two tailed beasts in its possession: the Two-Tailed Monster Cat in Yugito Nii, and the Eight-Tailed Giant Ox in Killer Bee. Iwagakure (岩隠れの里, Iwagakure; English TV "Hidden Stone Village"; Literally meaning "Village Hidden in the Rocks") is the hidden village of the Land of Earth. As one of the five great ninja villages, Iwagakure has a Kage as its leader known as the Tsuchikage. Its symbol is made of two rocks, with a smaller one in front of a larger one. The ninja from this village seem to specialize in Earth Release techniques. Iwagakure is well-known for the rock-hard attitude of its shinobi. As soon as the Tsuchikage gives an order, the Iwa-nin do so without hesitating, even if it means death. The Raikage has also accused the current Tsuchikage, Ōnoki, of having employed Akatsuki in the past. The rocky mountain ranges that surround the village and country provide a natural stronghold. The village profits from this advantageous position and is proud of its strong defenses. Otogakure (音隠れの里, Otogakure no Sato; Literally meaning "Village Hidden in Sound"), called Oto for short, was Orochimaru's personal village, founded for the express purpose of collecting ninja for his experiments and his quest to learn all jutsu. In actuality, Oto is not really a village, but a group of hideouts and bases scattered throughout the Land of Sound and other countries. Sound ninja use a diverse amount of jutsu. Three Sound ninja (Dosu Kinuta, Zaku Abumi, and Kin Tsuchi), under Orochimaru's orders, entered the Chunin Exam with the goal of killing Sasuke Uchiha. However, Orochimaru was actually using them as test subjects for Sasuke's power after Orochimaru gave him the Cursed Seal. With Orochimaru absorbed by Sasuke Uchiha and Kabuto Yakushi's abandonment from Otogakure, the fate of the village is unknown. Takigakure (滝隠れの里, Takigakure; Literally meaning "Village Hidden in a Waterfall") is located in an unnamed country. In terms of the village's appearance, Takigakure seems to be based on mostly Southeast Asian aesthetics. Their current leader is Shibuki. The ninja of this village seem to specialize in water-based jutsu. Kusagakure (草隠れの里, Kusagakure; Literally meaning "Village Hidden in the Grass") is located in a thus far unnamed country. Because it had Genin participating in the Chunin exams organized by Konohagakure, it can be assumed the two villages are allied. Nothing is known about Kusagakure's general fighting style, or even if they have one. It can be inferred from the village's name that its shinobi use jutsu involving flora or possibly Earth Release techniques. Although it has never been named, the country Kusagakure is located in has been shown on several occasions. The country is rich with forests, some consisting of giant mushrooms or bamboo. It also seems to have many rivers and deep ravines. During the Third Great Shinobi World War, the country was invaded by Iwagakure and served as an important front between Iwa and Konoha. Amegakure (雨隠れの里, Amegakure; Literally meaning "Village Hidden in Rain"), also known as Hidden Rain Village, is a small yet highly industrialized hidden village located in an unnamed country. It seems to be a rather loosely knit village, befitting the destabilized country, as a fair number of its ninja seem to either be missing-nin or end up as missing-nin, as the infamous Akatsuki leader Nagato and his partner Konan originate from this village. Its symbol is composed of four parallel vertical lines, resembling rain. Yugakure (湯隠れの里, Yugakure no Sato; Literally Meaning "Village Hidden in Hot Water") is the village that the Akatsuki member Hidan originated from. Once a ninja village, Yugakure decided that it didn't feel like staying a hidden village and transitioned out into a peaceful and prosperous village instead. However, Hidan, growing up, already showed a tendency toward violent Jashinist ways, decided that he didn't like this and slaughtered his neighbors before leaving the village. Yugakure makes an appearance in the series in Shippūden episode 92. When Kabuto Yakushi and Yūkimaru are on a journey they stop here to rest. Yūkimaru meets Naruto Uzumaki in a hot spring and talks with him about how hearts can communicate. There wasn't much seen from the village in the episode, but it seemed small and had no protective walls, like other ninja villages had. Getsugakure (月隠れの里, Getsugakure; literally "Village Hidden under the Moon") is a hidden village in the Land of the Moon. A shinobi from this village briefly appears during the Chūnin Exams. This village has been shown in Naruto the Movie 3: Guardians of the Crescent Moon Kingdom. Soragakure (lit. Village Hidden in the Sky) was a village located in the Land of Rock. Its isolationist policy prevented it from influencing the world, though lately the current village leader made steps towards letting in foreigners and making a greater impact in the world. Its members were diverse in their abilities, though they focused more on improving technology than any other village. Even so, their ability to defend themselves were good enough to prevent constant invasion by other villages. Numerous clans live under the Sky shinobi's banner, with their own secret abilities. It is rumored that several never-before-seen kekkei genkai could be found there. The village leader is not recognized as one of the Kages, though he or she has commendable ability. The village leader is known as the Shujin. Yukigakure (雪隠れの里, Yukigakure no Sato; Literally meaning "Village Hidden in the Snow") is located in the Land of Snow and featured in the first Naruto movie. Its ninja apparently specialize in manipulating preexisting ice. In the movie, the ninja from this village had a special "chakra armor" which protected them from most attacks while amplifying the user's abilities, and their jutsu arsenal typically used ice in the forms of various animals. At the end of the movie, the snow is subsequently melted and the country is renamed the Land of Spring. It is unknown what happens to the village. Hoshigakure (星隠れの里, Hoshigakure no Sato; Literally meaning "Village Hidden Among Stars") was introduced during the Star Village filler arc. It is located in the Land of Bears, and is one of the lesser-known Shinobi Villages in the Naruto Universe. Hoshigakure was formed sometime after a strange meteorite, which the inhabitants called the "star," struck its location 200 years earlier. No trees or plants could grow around the vicinity after it landed. Information gathered from the villagers suggests that the village can't have been founded much sooner than Konoha was. Its leader is the Hoshikage (星影, Star Shadow), although the leader is a Kage in name only. The other villages do not recognize Hoshigakure as an equal, nor is there any ninja truly worthy of the title. The meteorite itself was not that large, but it emitted a chakra-enhancing radiation. The First Hoshikage was able to devise a training method to allow the ninja in the village to harness the power of the star, thus allowing the ninja to gain supernatural chakra levels. The technique used to harness this power is the Mysterious Peacock Method. Upon the development of the skill, the meteorite was then set on top of an eagle's claw pedestal located inside of and at the very center of the Star Ninja training dojo, which was constructed for the very purpose of training future Hoshigakure shinobi. When this technique is fully mastered, it gives the user almost unrivalled chakra control, to the point where they can solidify it as a shield or create wings for flight. The training was eventually forbidden by the Third Hoshikage, after he realized the deadly toll the training took on those doing it; the Star's intense radiation of chakra was too much for some shinobi to handle, and thus their insides began to corrupt and their organs to weaken, eventually leading to internal bleeding or organ failure. Even if a ninja survived the training, the side effects would eventually kill them. Here you will be asked to complete a mission from your villages head leader or an admin, to either go up a rank or something more along the lines of that. Here you train to either be taught a new jutsu, or prepare for the chuunin's, you can also learn more of your clans Kekkei genkai ability for strength and what not. Come here to chat about anything new in the Anime world or just the world in general. Someone or something bothering, a certain admin or mod...maybe a member grinding your gears, talk about them here, and let it all out. They can't touch you here. Post any favorite music videos, videos in general or some cool online games you'd like to share with us. For old Abandoned topics no one has posted on in for like ever. Post poems, Songs, anythign you can think of. You can rp as oter stuff than just naruto stuff here and we hope you enjoy it.